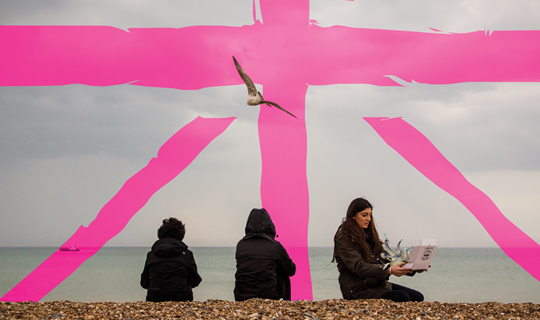 Octopus is an anarchic new comedy about Britishness and whether anybody knows what it is. Set in a world where how British you are is determined by the state, three women have been called in for interview. Sara looks kind of Asian. Scheherazade kind of Middle Eastern. And Sarah is kind of white and has no idea why she's here. She also keeps bursting into song. Staged against the backdrop of Brexit, the refugee crisis and fears about terrorism, Octopus is set in a dystopian world of bureaucratic box ticking and absurd interviews. At a time of increasingly anxiety over policing our cultural and geographical borders, it explores the mixed-race experience, how it feels to be seen as a foreigner in your own land, and the power of punk.